1.0 REFECTOCIL FULL TINTING KIT – value at over $149! The Refectocil Professional Tint Kit gives you everything you need to perfectly create the most enviable lash and brows. 1.01 WAXAWAY HOME USE WAXING KIT – valued at over $120! 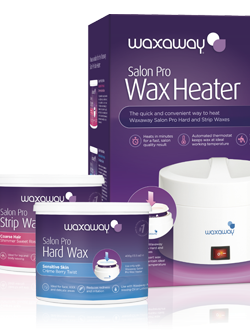 For beginners or home use, this wax kit has is portable and versatile – and has everything you need to get started! High quality stainless steel Metal Spatula is used for applying strip wax to the body. Easy to use and to sterilise for ultimate hygiene. $1.60 AUD – $28.00 AUD Select optionsLearn MoreThese high quality disposable wax applicators are available in 4 sizes and 2 quantities - perfect for every wax treatment.